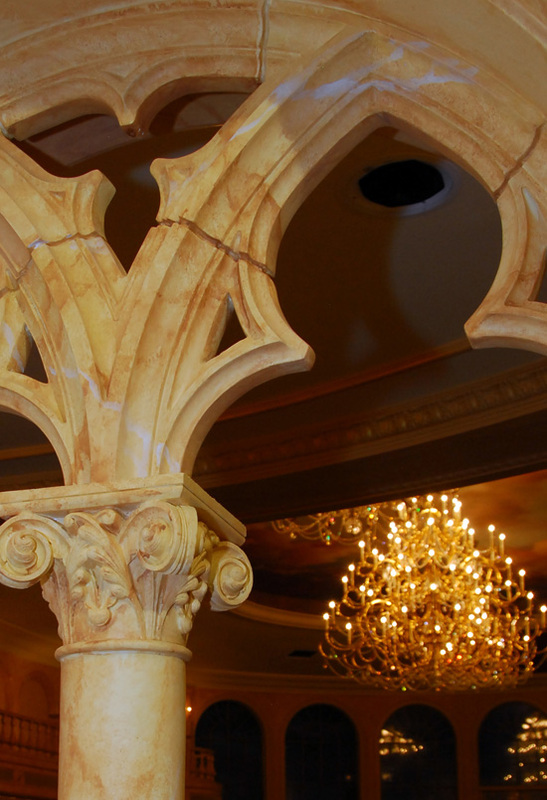 Some of the details inside Be Our Guest Restaurant were posted on Disney Parks Blog. 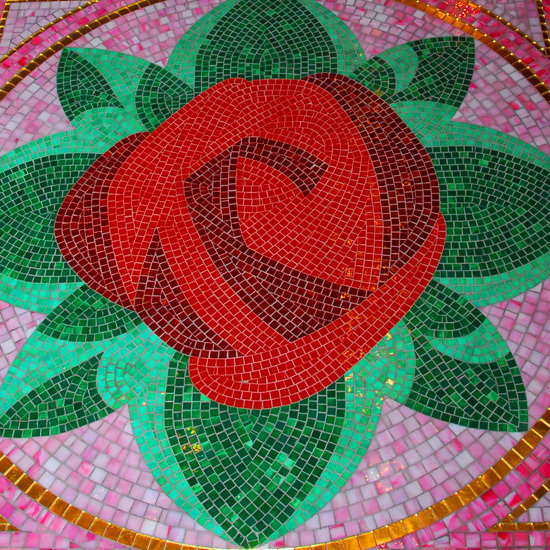 This mosaic is on the floor as you enter the restaurant. 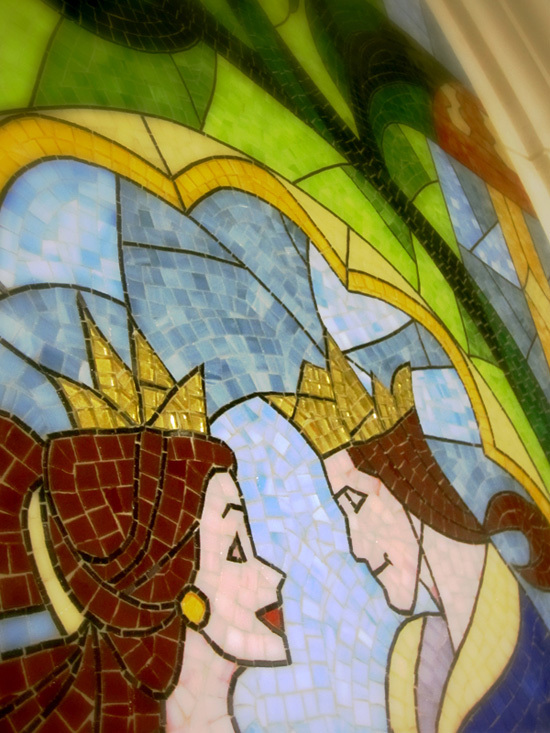 Just one of the tile mosaics that are on the walls of the elegant restaurant. The arched doorway reminds me a lot of Venice, not so much of France. Either way it's absolutely beautiful. Now if only we knew when we could dine here! I'm ready to make my ADRs, how about you? Keep checking back for more details as they are released!